Multiple sclerosis patients all have one thing in common – inflammation. Chronic inflammation leads to the breakdown of the central nervous system, which is under attack by the immune system. 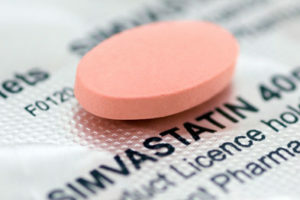 In a recent study completed by Aarhus University, higher doses of Simvastatin was recognized – for unknown reasons – to have a positive affect on the inflammation suffered by MS patients. It is believed the medication, “acts as a plug in the proteins that retain the immune cells in the inflammation zones. With the plug in place, the immune cells can no longer contribute to the inflammation.” More research is needed, however, this could be a potential treatment given many people can take Simvastatin without serious side effects. Read more about this new finding on ScienceDaily.com at: https://www.sciencedaily.com/releases/2016/07/160707115651.htm. Image from: www.bioquicknews.com.